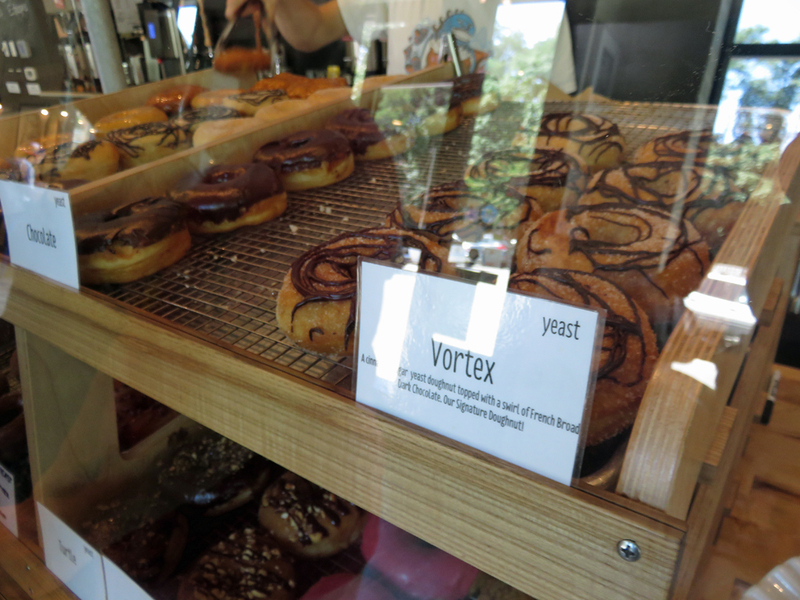 Asheville’s Vortex Doughnuts Delivers Your Doughy Dreams – Why Am I Not There? If there was ever a reason to ignore your hotel’s continental breakfast, it’s to explore local bakeries and their delicious delicacies. Case in point, look at those damn donuts! Compare this to the stale crap offered as a bonus at your accommodations. Meh! 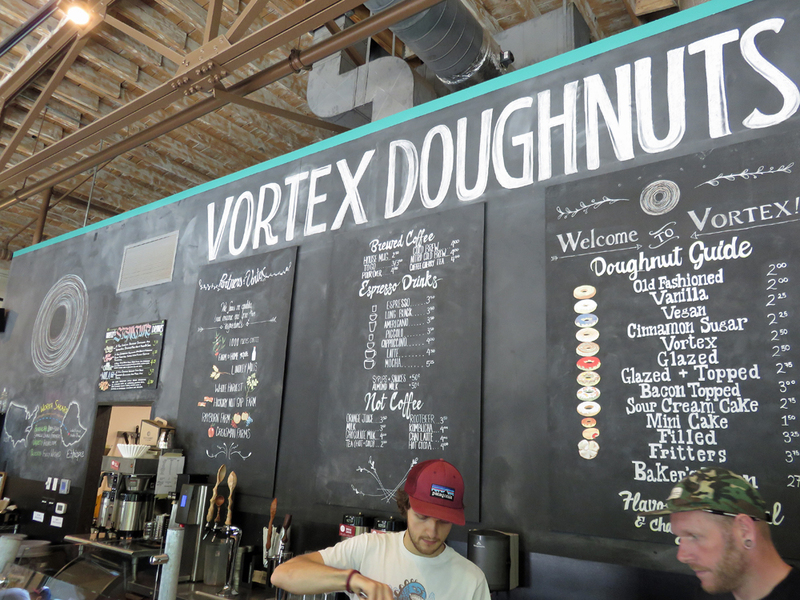 Vortex Doughnuts in Asheville is located next to Buxton Hall Barbecue and Catawaba Brewery. The building is a 10-15 minute walk from downtown Asheville in one of those areas that houses quirky businesses that use to be warehouses. Inside, the array of varieties is intense. I limit myself to two which pains me because to choose between thirty varieties is intense. It’s the Sophie’s Choice of doughnuts. 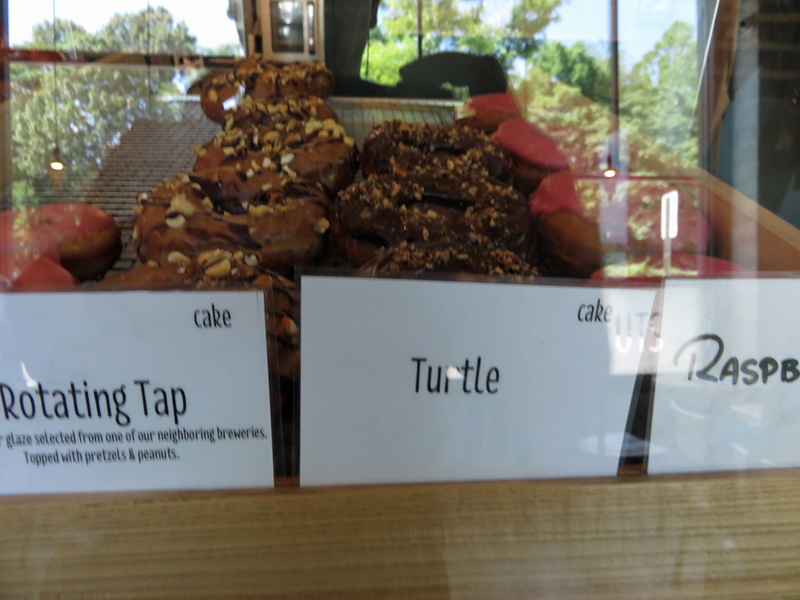 I had their signature doughnut with a chocolate vortex pattern on it and the rotating tap doughtnut with pretzels and peanuts. They also offer gluten-free and vegan because it wouldn’t be gentrification without it. Of all the doughnut places I visited on this trip, this was the best, and it was the first I visited. I could easily taken a dozen to-go so I could sleep with them next to me.